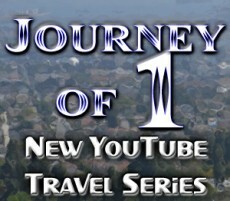 Week 45 – Filmed 11/13, 11/19, & 11/20 – This week I take you on a quick tour of my hometown, Torrance, California. It’s “A Balanced City”, with lots of great residential areas, a healthy commercial district highlighted by the Del Amo Fashion Center, and also had an industrial side with things like the massive Exxon Mobile Refinery. It’s a beach city, has it’s own airport (“Zamperini Field”), has it’s own school district, and is definitely a great place to live in the South Bay.